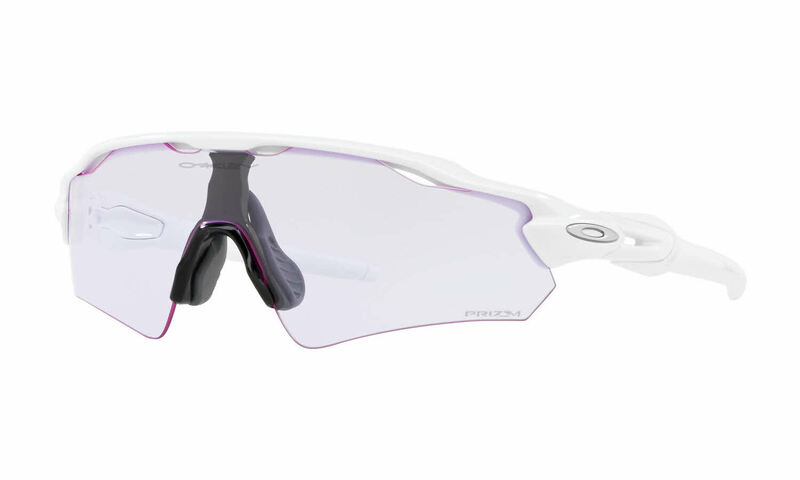 Oakley Radar EV Path - Alternate Fit is a Semi-Rimless frame for Men, which is made of O Matter. Oakley Radar EV Path - Alternate Fit Sunglasses come with a cleaning cloth and protective carrying case. The sunglasses are really clear and very little glare. The only thing that I do not like is the fact that they do not sit closer to the cheek bone. I have to pull them down on the nose farther for them to sit properly. If I push them on the bridge completely I can see under the bottom on the lens.